I have been assisting home buyers & sellers in Northern NV for 14 yrs & I do so with honesty, integrity and professionalism. I'd be honored to work with you to assist you with your real estate needs. To be the best in real estate, as in any endeavor, you must give 100%, have a genuine interest in people & in their interests, & believe that hard work & integirty go hand in hand. I truly believe in this philosophy & strive to always give 100% to all of my clients. Real Estate is a big deal & for most Americans, a home is the most expensive purchase they will make in their lifetime. It's a serious transaction with significant financial & emotional ramifications for all parties involved, therefore having the proper representation is critical. As a licensed residential real estate agent of 15 years, I have an in-depth understanding of excellent customer needs & I take a hands-on approach to each transaction. I enjoy being personally involved with every client, I attend all of my open houses, I answer every qusetion & proactiviely address every concern. Backed by my strong Ferrari-Lund team, I give my complete support & attention to all of my clients and I pride myself in being the best real estate resource for home buyers and sellers. As a full-time resident since my childhood days, my roots in the area run deep in both Reno and Sparks. I have lived in both cites & continue to enjoy the many benifits of these two sister cities. I live an active life & love all things outdoors. Living in Northern Nevada allows me to take advantage of all it has to offer. From snow skiing in the winter to hiking in the summer, from floating down the Truckee River to swimming in Lake Tahoe, I always have something to do. I guess you could say "adventuring" is one of my favorite hobbies! I also love to read, spend time with my family, friends and boxer, Wonda. We were in the process of looking for a home in contemplation of possibly relocating from Las Vegas to Reno, as our daughter had been accepted to UNR. Terrie was truly exceptional, knowledgable, and tireless throughout the entire process. She drove us to home after home in various areas in and around Reno, including Somersett and Arrowhead. She was very knowledgeable of the entire area, and took all the time we needed to take us through dozens of homes. She even carefully clocked the time and miles from possible homes to UNR to ease our concerns about what our daughter's drive to school might be like. Particularly impressive is the fact that, with only a few days notice, she gave up her entire Memorial Day weekend with her family, cheerfully spending the full three days assisting in our search. Although we ultimately decided not to relocate to Reno, we would highly recommend Terrie to anyone looking for an agent in the Reno/Sparks area. She was very patient in helping us find a house that had all of the qualities that we were looking for. She never tried to pressure us into a house that wasn't quite right to hurry the process along. She was very knowledgable and helpful throughout the entire process and very supportive through all the bumps in the road. We appreciate the help and were lucky to have her help us purchase our first home! Terrie Leighton is one of the best agents I've ever worked with! I'm a seasoned buyer having worked with many agents over the years but she stands out because of her impeccable work ethics and her willingness to stick with you throughout the purchase effort, even if it takes a very long time. I'm an out of state buyer so having someone dependable that can work with me virtually was key. I tried other agents but once I found Terrie, I knew she was the best choice. Whether you're a local buyer to the area or from out of State, I highly recommend Terrie. One thing I liked so much when working with her, is how she seemed to really be looking out for me rather than just to make the sale. Being out of State, it was so important to find someone with that honesty and integrity because I needed that guidance. 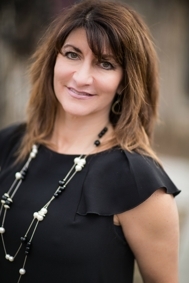 If you're looking for a professional, dependable and knowledged agent in the Reno area, Terrie Leighton is your best choice. I had been looking for a home on and off for 4 years but nothing seemed to fit. I had been serious dealing with shady, inefficient agents for 8 months... Then Terrie came along. She insisted she was here for me. And she was! Within 2 weeks, I had an accepted offer. 25 days later, I was living in my dream home. Terrie made it happen. She bent over backwards to accommodate my crazy, hectic schedule. Aside from her complete professionalism, Terrie was genuine. I believed her, and I knew I could trust her. I won't be in need of a new home for awhile but I know I can count on Terrie when the time comes. She is definitely worth the phone call. I've dealt with several realtors but I got say that Terrie has been the best. She was so easy to get along with. She knew the area like the back of her hand and got us a great deal on our house. I highly recommend her.